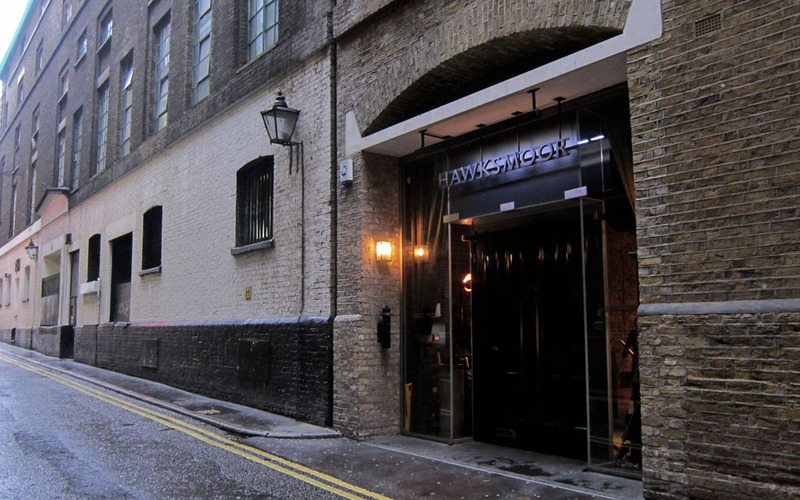 With outstanding service, an elegant yet casual atmosphere and more importantly perfectly cooked steak, it’s no wonder the Hawksmoor is often hailed as “the best steak restaurant in London”. 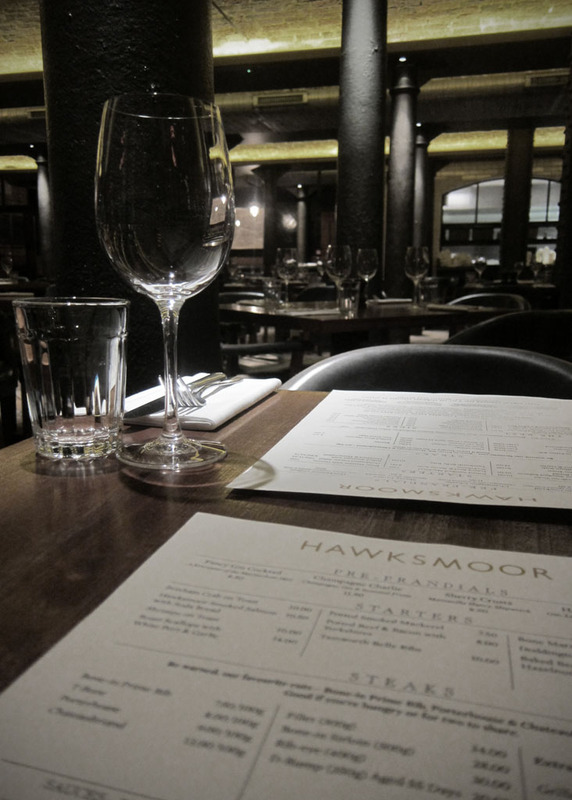 From the moment you walk through the large double doors the ambience of the Hawksmoor warmly welcomes you. An ambiance created by the restaurants stylish interior of exposed brick walls, wooden flooring, dark leather swivel chairs, hanging chandeliers and impressively candle lit dining hall. You will most likely need to make a reservation for dinner, but even so I suggest turning up a little early so you can enjoy a cocktail at the gorgeous bar, before heading into the main dining room. 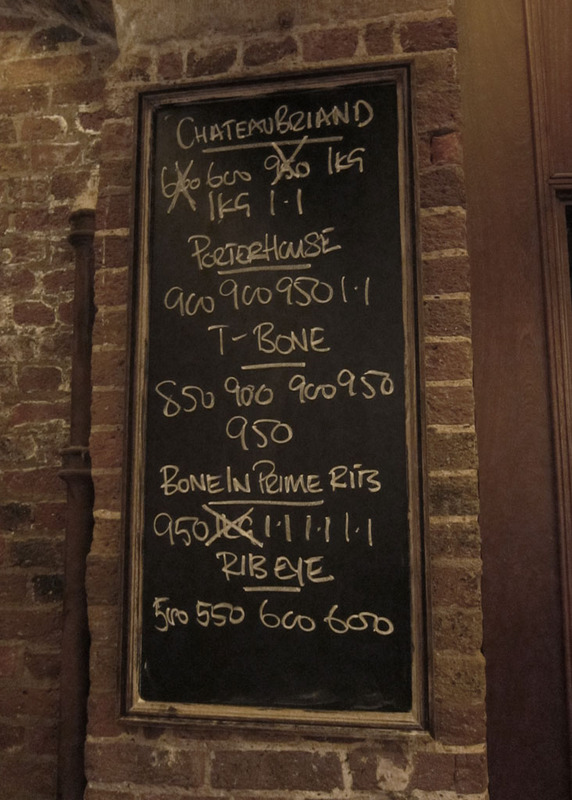 Once seated you will see a series of hanging black boards highlighting what individual cuts of meat are on offer that night, as well as larger cuts, which are intended to be shared among groups. 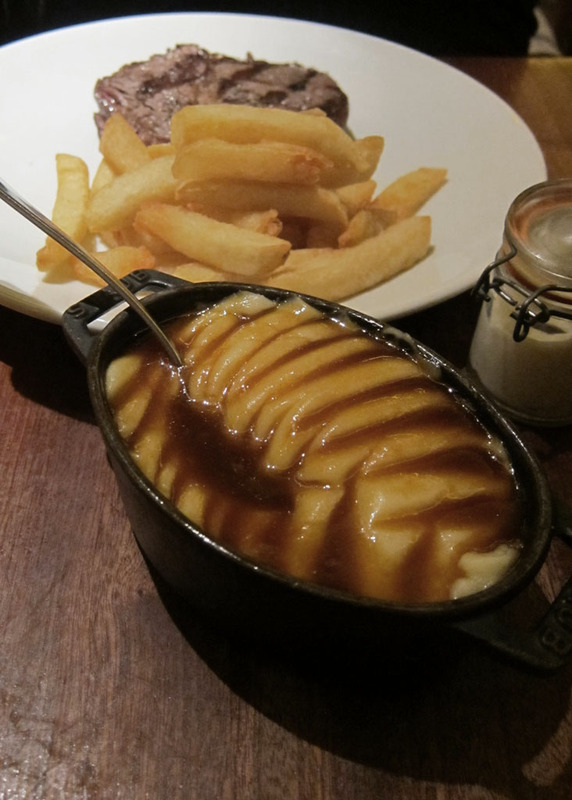 Once you’ve chosen your steak don’t forget to choose your accompanying sides, such as: triple cooked chips (a must), beef dripping chips, mash with gravy (amazing), creamed spinach, buttered greens and much, much more! Expertly seared on a grill, just the way you like it, the Hawksmoor’s steak will melt in your mouth and make you question why you’ve never been here before. Not only does the steak taste great but the restaurant supports sustainable agricultural practices and locally sources all their meat and seafood. So you can take great comfort in the fact that there is no mystery meat here! Take my word for it, this is not the type of place you want to go wearing tight jeans, as you’ll be left feeling absolutely stuffed (in the best possible way) by the end of your meal. Having said that, make sure to leave room for dessert. 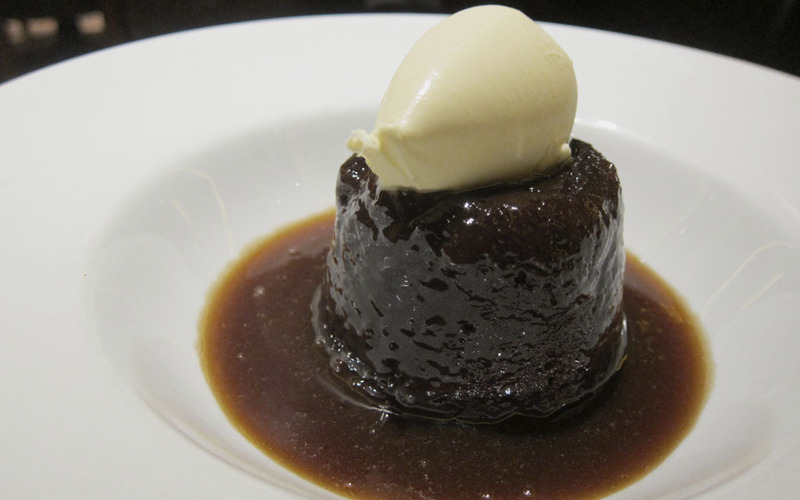 The sticky toffee pudding is divine, as is the salted caramel ice cream. 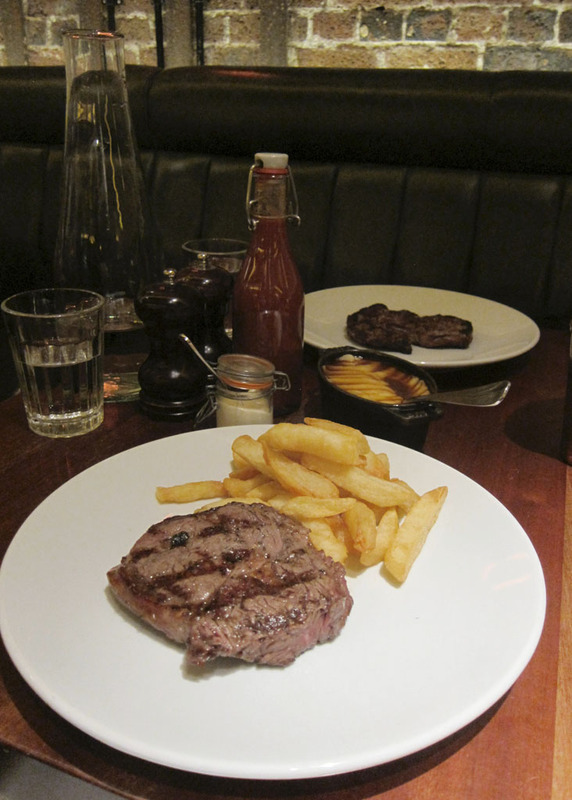 It’s also worth noting that the Hawksmoor offers an ‘Express Menu’ throughout the day, which is served until 6:30pm. 2 courses for £23 or 3 courses for or £26.